To see where you’re going, you first need to know where you came from. We launched Loop Email in May 2018. Our goal was to introduce simpler teamwork on email by combining it with chat messaging and files in one app. 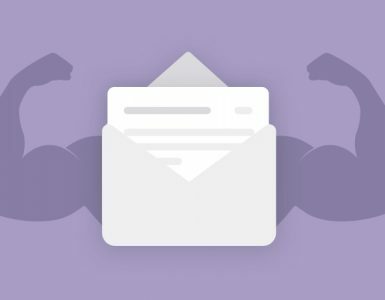 It is a result of years of work on similar platforms, carefully exploring the needs of email users – which is how we came to develop its core features. One of them is Loops side chat which we introduced in June. It is our flagship feature because it completely changes and simplifies how you work on email as a team. 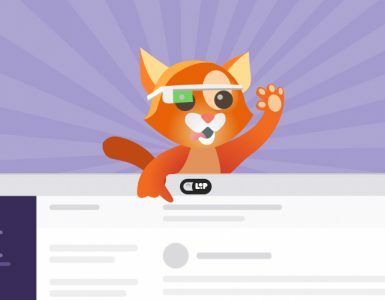 Looping people into your email conversations with the help of chat is a proper productivity hack and one of the additions we’re most proud of this year. Read more about other real-time communication features we launched. A special shout-out to early adopters of our app who gave us priceless feedback, and are continuously helping us to get better. Thank you! So what’s our roadmap for 2019? We’re making Loop Email even easier to use for teams. 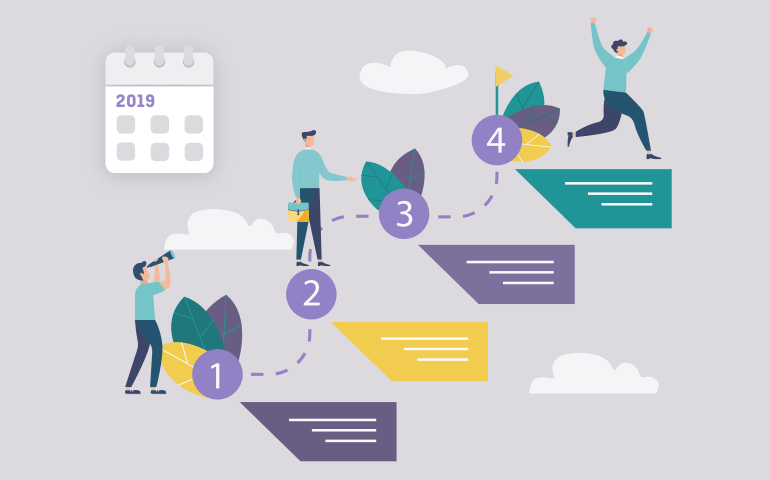 Q1 2019: A calendar with the functions needed to create events, send invites, manage attendees, etc. Q1 2019: IMAP account support. 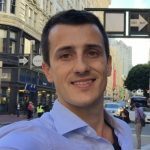 Q2 2019: Android app is on its way! We know there are some things you might still be missing in the Loop Email app. Rest assured that we are listening to all your suggestions, questions, and observations and are working on many additions and improvements to our app. This is on the menu for 2019, with more to follow. We’ll make sure to update you about any additional plans, so stay tuned! Loop Email works best if you use it within your team. That’s why we are making some changes that will make it even easier to introduce your team to the app and start using it in the best way possible. It’s been one of the most requested features, so it’s on our priority list. There’s not much to say about the calendar itself (we all know how those work ☺), so let’s just say that you’ll now have even more apps united inside one. And as much as we’d love to help you eliminate ALL meetings, we know that’s just not possible. But we want to help you manage them with the help of meetings invites. It wouldn’t be email if it didn’t support IMAP, right? Support for IMAP accounts is already in the works and should be available to all users in Q1 2019. Android, iOS, DTA, we got your back in 2019. 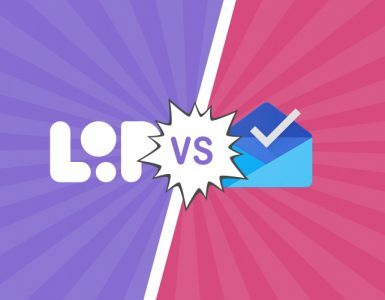 Fret not, non-Apple lovers – Loop Email is coming to Android soon! Currently, we’re still fine-tuning the app, testing it on multiple devices, and ironing out the bugs. We expect all users will be able to download our Android app in Q2 2019. With so many different industries and types of companies that could benefit from enhanced team communication, we are aware of infinite different workflows. 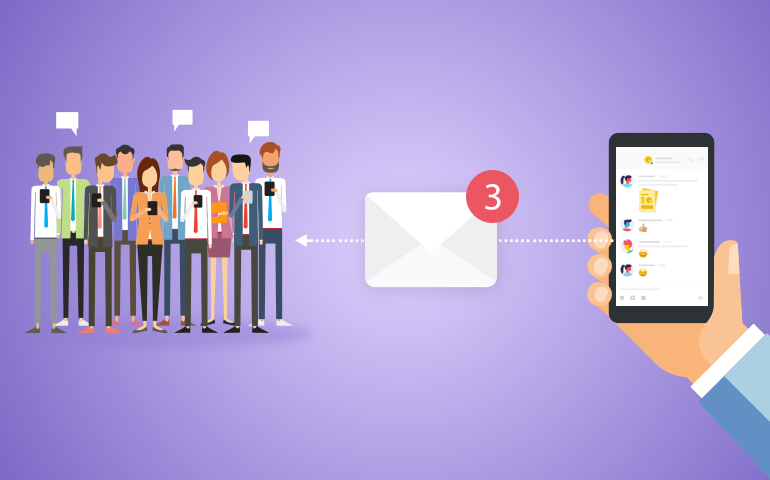 We’re planning on launching a set of useful integrations that will seamlessly connect your daily workflows with email inside one app – Loop Email. The thing we’re most grateful for all you numerous users who trusted in our vision of transforming email into the ultimate teamwork tool. You inspire us to work, develop, brainstorm, and improve our product. Hopefully, we’ll meet and exceed your expectations – we’ve got grand plans to make your work on email even easier! Not using Loop Email yet? Give it a try and download it here for free. If you have additional questions, we’re happy to give you a guided tour of the app with personalized advice for your team. is it already done the support for imap account? Yes we have it, open for testing. Please contact the support team at support@intheloop.io for detailed information.